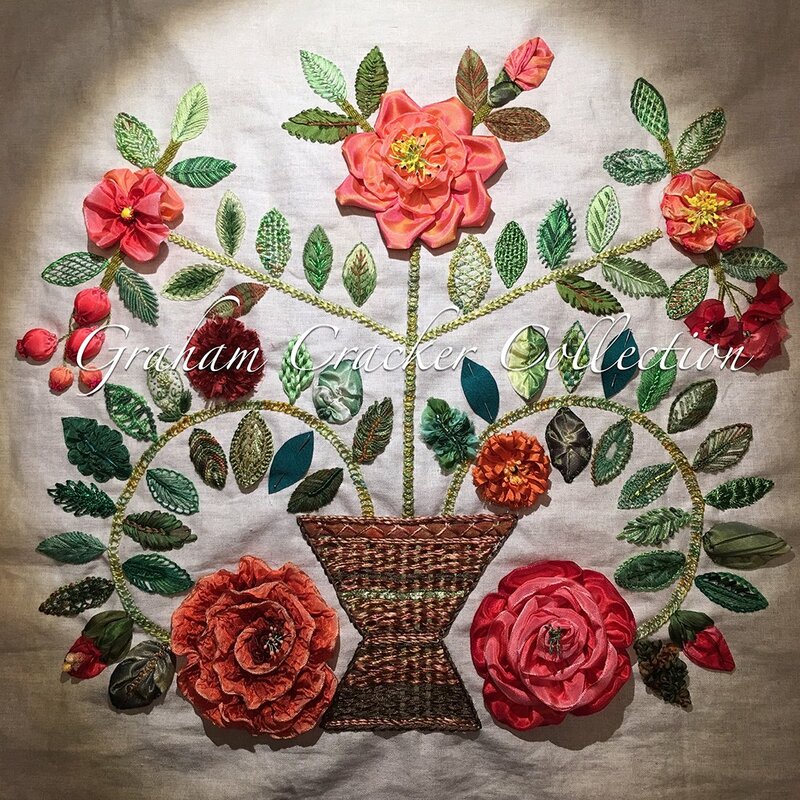 During the course of six classes, you will learn embroidery and embellishing techniques to make this printed panel come to life! Discover different stitches for stems, leaves and buds. Learn dimensional techniques for buds, leaves and flowers. Make the vase into a woven basket with basic embroidery stitches! Make your panel a beautiful sampler of all you learn, or choose your favorite techniques for a uniformed design. A fun class to play with different threads and ribbons and see the optional effects they can offer with different techniques!